Sangria family friendly recipe, non-alcohol drink, mocktail. 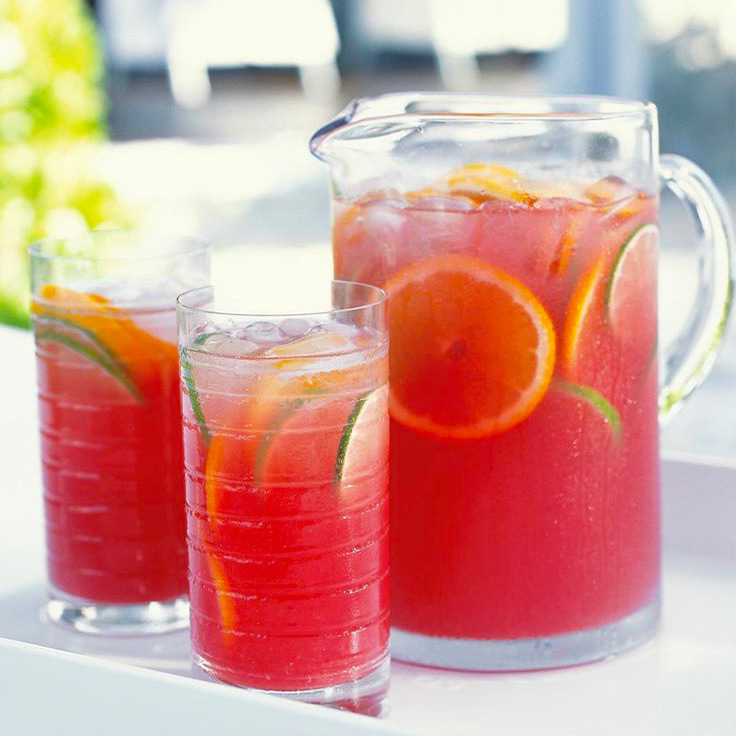 This is an easy to prepare and very versatile drink for the hot summer months. This is a family version of the original Spanish Sangria. Rinse the oranges and lemon in cold water. Slice one orange and the lemon into thin rounds. Extract juice from the other orange. Add the sliced orange and lemon and sugar to a large bowl. Mash gently with a wooden spoon. Do Not Crush. Just to release some juices. Add the orange juice and the grape (or cranberry) juice. Mix together. Add the water and stir. Chill for 1 to 2 hours. You can make it up to 8 hours in advance. Before serving, add the sparkling juice and 8 to 10 ice cubes and stir. You can garnish with fresh mint leaves or extra orange slices twisted on each cup. Serve immediately to retain some of the bubbles from the sparkling juice. You can easily substitute different juices to your own taste. Enjoy!